They speak English now (Just in case you didn’t notice). They are the millennial Chinese travelers in the United States. They are the Chinese tourists coming to discover the United States of America and to buy high quality Made in USA products. They are the Chinese businessmen and businesswomen coming to invest in American companies and create U.S. jobs. They are the smart Chinese millennial entrepreneurs coming to America to create start ups and contribute to America’s leadership in future technologies. They are the Chinese guests fed up to be disrespected in luxury hotels when asking if they really can afford to pay for a suite when they ask for one and are offered first the cheapest room available. They are the Chinese travelers annoyed to be depicted by U.S. marketing agencies as using only Chinese social media networks such as Weibo and WeChat, when they are actually using Instagram, Twitter and Facebook to stay in touch with their U.S. friends and freely discover the world. They are the LGBTQ+ Chinese travelers wanting to be as respected as any other tourist and find safe places to just be who they are. They are the Chinese shoppers who find utterly ridiculous when Western luxury brands add a dragon or a Chinese symbol on a watch or a handbag and expect that they’ll specifically want to buy this model. They are the Chinese tourists who are grateful for the warm welcome they have received by American people when they were doing horseback riding or cowboy shooting. (Yes, they are not only obsessed by shopping in large shopping malls but want to discover the various aspects of America’s culture and heritage). They are the Chinese travelers who are proud of their Chinese cultural heritage and Chinese language, but who also speak English and prefer to read in English original stories about the United States. They are the Chinese travelers who are fluent in English and understand exactly what some people say about them when they are traveling overseas. Actually, they are exactly the same as any other traveler in America. 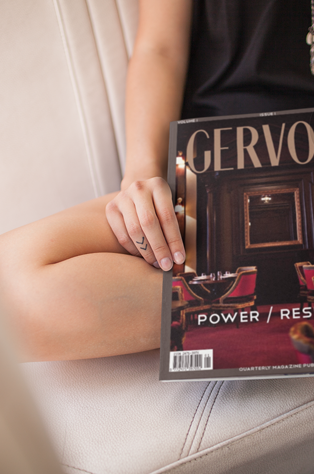 By Pierre Gervois, Founder of Gervois Hotel Rating, Publisher of Gervois Magazine, Hospitality & tourism keynote speaker and expert about marketing to outbound Chinese tourists. China-U.S. tourism is on a growth trajectory and can help promote closer people-to-people links between the two countries, CEO of China’s top online travel service provider Ctrip has said. Ctrip sees huge growth potential for Chinese tourists traveling to the United States, Jane Sun said at Columbia University Business School’s Chazen Institute of Global Business. Last year, a record of 1.3 million people booked air tickets to the United States on Ctrip, she said. The company served in 2016 more than 160,000 Chinese tourists who traveled to the U.S. by providing package tours and other tour products, she added. “People are entrepreneurial in China and want to explore opportunities in other markets. That’s why there is a lot of demand for travel from China to Australia, Europe, New Zealand and the U.S. along with other areas,” said Sun, who was recently rated by Forbes China as one of China’s most powerful business women. Ctrip made strategic investment in three U.S. tour operators to support the demand by Chinese for trips to the United States last year. Sun said that there was still room for growth and that her company wanted to further expand its market share. “I have lived in both the United States and China and I cherish the friends I have in both nations. Travel can be a bridge between the two countries,” she said. Ctrip, which had an initial public offering on the Nasdaq in 2003, is an industry heavyweight with over 30,000 employees and market valuation of about 25 billion dollars. Statistics showed that the number of Chinese tourists traveling to the U.S. jumped by 14.7 percent in the first three quarters of last year from a year earlier, while the number of American tourists traveling to China increased by 7.3 percent during the same period. 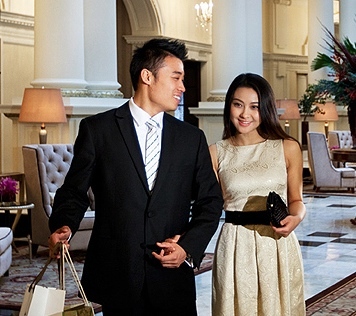 Marketing to Chinese Outbound Tourists: Towards Normalization. By Pierre Gervois, Founder & Publisher of the STC magazine, CEO of China Elite Focus Magazines LLC (New York), keynote speaker and expert about marketing to outbound Chinese tourists. In 2005, I had the first conversations with executives in luxury hospitality groups about the importance of improving the welcome for their first Chinese guests. I knew they used to receive a very poor quality of service, in large part because of the ignorance of the Chinese culture from the staff of luxury hotels, and also because of the persistence of stereotypes about Chinese travelers. The General Managers of five star hotels I talked to from 2005 to 2007 told me more or less the same thing “Chinese tourists don’t stay in five star hotels”, and, as a consequence, they did not see the point of investing resources to improve the service for their Chinese guests. Today, these same hotels advertise in the STC magazine and ask us to define their marketing strategy to attract more of high-spending Chinese guests and offer them the best possible service. Things have obviously changed over the last ten years. To better understand the way Chinese outbound tourism has dramatically changed over the last decade, let’s go back fifteen years ago, in the early 2000’s. From 2000 and 2005, most of Chinese outbound travelers were business travelers traveling in official delegations to attend to trade shows and official business meetings in Western Europe and in The United States. 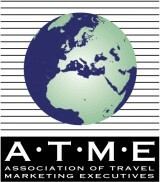 At that time, it was nearly impossible for individual Chinese leisure travelers to obtain an independent leisure visa for Europe or the U.S., and the only way to have holidays overseas was to travel in the famous (or infamous) group tours organized by Chinese State-owned outbound travel agencies, in partnership with selected destination management companies in their country of destinations. Basically, their passports were confiscated by travel agencies during their trip in coaches and low quality hotels, which is not a very enticing way to travel. I talked with many of these first Chinese leisure travelers between 2000 and 2005, and they told me how displeased they were by the very poor quality of their travel experience, and how their feelings were hurt by the stereotypes who were widely spread within the travel industry: Chinese tourists were supposed to love to travel in coaches, were allegedly obsessed with discounts, and would prefer to stay in one star hotels. In fact, my Chinese friends were at that time willing to be free to explore a country on their own, were searching high quality – and expensive- travel experiences, and were particularly fond of nice suites in five star hotels. Basically, like a lot of affluent western travelers. But not of a lot of travel and tourism professional understood and even listened to them at that time. You were a Chinese tourist? Then you had to fit in a certain category of negatively stereotyped traveler. Period. In some cases, that was very close to segregation, and surprisingly, very few western travel & tourism professionals realized how painful and sometimes humiliating it was for Chinese leisure travelers. From 2005 and 2010, The travel and tourism industry started – slowly – to give up on stereotypes concerning Chinese travelers, and at a slower pace to gradually improve the service for Chinese travelers. Some hotel chains started to offer in-room Chinese tea (It took several years of studies and commissioned researches for hoteliers to take such a simple and inexpensive step), or started to recruit a few Chinese speaking staff members. But the industry did not yet understood where the core problem was: the structural inability of both the outbound travel agencies (OTA’s) and destination management companies (DMC’s) to understand this massive change in international outbound tourism. In less than ten years, faster than in any other country in the history of international leisure tourism, a group of outbound travelers was growing at an impressive and never seen rate, from 5 million in 2000 to 57 million in 2010. With old fashioned organizations, Chinese OTA’s could not offer the kind of service that the new generation of Chinese travelers wanted from them: a good understanding of international travel opportunities. On the other hand, DMC’s in Europe and the U.S. were still stuck in their preconceptions about Chinese leisure travelers and kept offering the same standardized programs (Traveling in coaches from a discount shopping mall to another and sleeping in very low quality hotels), that were by the way never favored by the Chinese travelers themselves. But their advice was never solicited. That was before the social media era. Around 2008, the first social media networks started to become popular in China. And yes, I remember the time (somewhere in 2008), where Facebook and Twitter were freely accessible in China. With the launch of Weibo in 2009 and dozens of other Chinese social media networks, Chinese outbound travelers started to post stories about their experiences about their overseas travel, and make comments about hotels (since 2008 with the launch of DaoDao, the Chinese version of TripAdvisor). I frequently read translations in English of comments written in Chinese Mandarin about famous luxury hotels in New York, London or Paris, and the first comments and reviews were incredibly negative. Most of them expressed how the staff of these famous hotels lacked of respect with their first Chinese guests, and did clearly offer them a second-class experience compared to other guests from western countries. I was also surprised to see that nobody in these hotels made the effort to request a translation of comments made by their Chinese guests and analyze them. From 2008 to 2010, the first travel destinations, travel agencies and hotels started to realize that they needed to communicate properly with Chinese outbound travelers, but very few marketing options existed. China Elite Focus was historically the first digital marketing agency (founded in june 2008 in Shanghai) who was exclusively specialized on digital travel marketing for affluent Chinese outbound travelers, with a unique focus on luxury destinations. The launch of China Elite Focus was followed by a flurry of creation of other independent digital marketing agencies in China, Europe and the US, and defined all together an entire new marketing category: digital marketing to Chinese outbound travelers. The quick development and the popularity of Chinese social media networks as well as the first digital campaigns to promote international travel to Chinese potential travelers contributed critically to a better connection between travel operators worldwide and the emerging category of young and affluent Chinese first-time outbound travelers. But access to the information was still a big issue, specifically for high spending travelers: From China, how to know what is the best hotel in New York you absolutely want to stay in? What is the best exclusive golf course in Scotland? How to book a table in the Paris’ finest restaurants? No curated information was available at that time in Chinese Mandarin. The existing travel magazines published in China did not had such sophisticated informations, and no website existed. That is the main reason we launched the Shanghai Travelers’ Club magazine (or the STC magazine) in 2009 as an electronic newsletter and since 2012 as an iPad & iPhone digital publication. From 2010 to 2015, all the elements of the complex puzzle were in place: a dynamic social media network environment in China, the emergence of digital only Chinese travel agencies using extensively social media, the growing desire of Chinese travelers to discover foreign countries, and the understanding by western travel, tourism and retail companies that, yes, this is it, Chinese travelers are the world’s biggest spenders and the #1 group of Chinese outbound travelers. This is an interesting period where we saw two different categories of Chinese travelers intersecting on different paths. Senior travelers, mostly top executives of large Chinese companies who reward themselves after a life of hard work with a once or twice a year luxury international travel experience, and their children, in their early twenties, who quickly become frequent global travelers (six to ten times a year), and end up spending more than their parents in travel and shopping. First, “to increase nonimmigrant (i.e. tourists) visa processing capacity in China by 40% over the coming year”, meaning allocate more human resources at U.S. consulates in China in order to be able to review and process more leisure visa requests. Second, “to ensure that 80% of nonimmigrant visa applicants in China are interviewed within 3 weeks of receipt of application”, meaning to allow a much faster process for individual Chinese tourists planning holidays in the U.S.. This rather technical Executive Order created a psychological change in the perception the United States as a luxury holidays destination by Chinese travelers. Previously more considered as a business destination, the U.S. were seen as of the beginning of 2012 as a much more “tourist friendly” destination by the Chinese, and they started massively to consider to spend holidays in this country, who appeared as newly opened to them. We saw a surge in requests on Chinese search engines about “travel and holidays in the US” in the first half of 2012, and the U.S. travel and tourism industry operators started to feel the economical benefits of an increased influx of Chinese leisure visitors as early as the summer 2012. 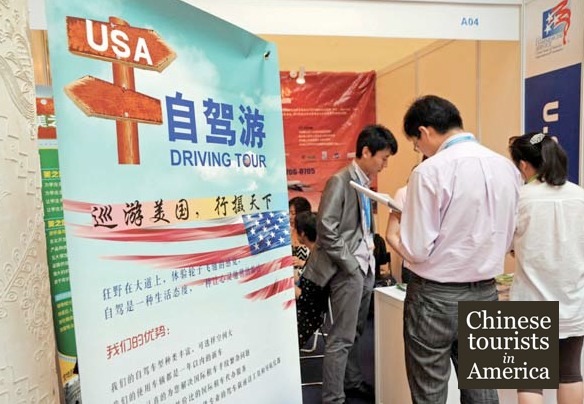 (1.5 million Chinese visitors came to the U.S. in 2012, 3.1 million are expected for 2019). In november 2014, China and the United States negociated a reciprocal agreement to extend the validity of tourists visas up to ten years (multiple entries). It means that since november 2014, a Chinese tourist with a valid tourist visa to the United States can keep this visa for up to ten years, with multiple entries. That is very close to the “Visa Waiver program” with european tourists, and has strongly encouraged Chinese travelers to choose the U.S. over Western Europe destinations, who do not offer tourists visas with such a long validity for Chinese visitors. At the end of 2015, We could say that 80% of tourism offices, hotel chains, retailers, and airlines had in place elements for a marketing strategy focused on Chinese tourists, even a modest one. What a change if we compare to 2005, where virtually less than 5% of them had a strategy in place. Today, what could be the trends for the years to come? The first world that comes to my mind is normalization. For the last fifteen years, travel and tourism marketers considered Chinese tourists as a kind of “exotic” category of international traveler, with all the stereotypes and preconceptions attached. Now that more than 100 million Chinese travelers discover the world every year in virtually every country on the planet, tourism and travel professionals have a much better understanding of what the most important group of tourists really want. And it’s – how surprising – exactly what Americans and European travelers want when they travel abroad: A carefully curated travel experience, nice hotels, local cultural and food discoveries, and the possibility to choose, alone, what to do during the day. Before starting a marketing campaign focused on Chinese outbound travelers, it’s now time to have the exact same mindset that for a marketing campaign targeted at any other nationality of tourists. And, please, forget about the stereotype of the Chinese traveler allegedly only interested by discounts. They are not. They want quality, sophistication and authenticity. And they know it doesn’t come cheap. At the 5th avenue Cartier Flagship store, a Chinese customer in Gucci flip flops, Abercrombie & Fitch T-shirt and a Niuyue Mag Cap on his head is buying three gold “Tank” watches incrusted with diamonds “One for me, one for my wife, and one for my daughter, who is studying in Chicago”, he says with a big smile. “I’m also platinum member of the Shanghai Travelers’ Club”, he added ,“that gives me a VIP welcome in most of luxury stores here”. Cultural training is imperative for New York-based luxury flagship store employees to build trust among affluent Chinese tourists and creating a custom experience for this group of travelers will help marketers gain brand loyalists, experts say. Many luxury brands are focusing marketing efforts to Chinese consumers back at home, but with a rising wave of Chinese tourists coming to New York, it is important that brands cater to this group. Luxury marketers need to be more proactive to reach Chinese travelers by training employees and partnering with high-end travel services. “New York flagships should be more aggressive in inviting and giving a fabulous experience to Chinese tourists,” said Milton Pedraza, CEO of the Luxury Institute, New York. “The city seems to be behind in attracting and nurturing Chinese consumers. “New York has been slow to appeal to Chinese tourists, even though there is such as large Chinese population in the city,” he said. In the capital cities of European countries, luxury flagship stores get 50 percent of their value from Chinese tourists, per Mr. Pedraza. Europeans have been smart in the way they care for Chinese tourists, who tend to buy in volume on shopping trips. Meanwhile, the United States has not been as open to tourists in its efforts and may have suffered, given the economic times. In the past, European tourists were key for New York-based retailers, but tourism from Europe is on the decline. Travelers from China are now the largest group of tourists in New York, and Indian tourists are another group to look out for in the next decade. To get Chinese consumers into New York flagship stores, luxury brands should partner with high-end hotels, tour operators and restaurants to keep the brand top-of-mind, according to Mr. Pedraza. But the marketing strategy for luxury retailers also starts in China, when affluent Chinese travelers are planning their NYC shopping trip, and use Chinese social media networks such as Niuyue Mag, with 200,000 registered members, giving shopping tips and specific insights to Chinese shoppers. 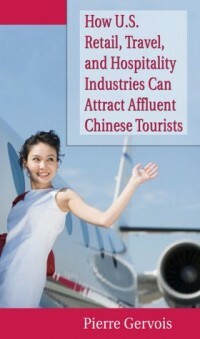 Also airports, limos and hotel concierges play a major role in influencing affluent Chinese tourists since these are all stops on the journey to New York. “There is no question that luxury brands should be using print and their Web sites to attract tourists to their New York stores by showing the experience that they can expect,” Mr. Pedraza said. 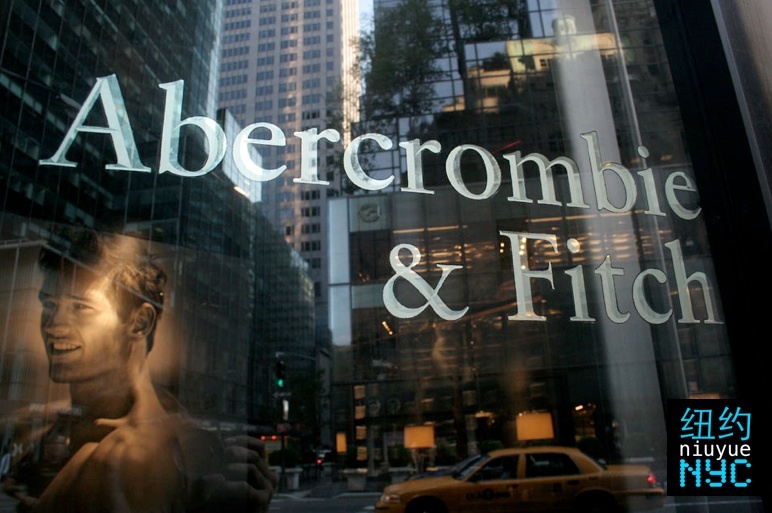 Once in-store, affluent Chinese tourists will need to be made comfortable. To do so, New York flagship stores should start by training their staff on the Chinese culture and traditions. Stores should have, at minimum, Mandarin-speaking employees and may also want to train in other dialects from Asia. “Employees should be well-educated in relationship building, not just to process tourist transactions, but to develop longtime relationships with the brand,” Mr. Pedraza said. Luxury retailers should be aware of the Chinese holiday calendar to understand buying habits during certain holidays and target Chinese consumers for in-store gift buying, per Ken Morris, principal at Boston Retail Partners, Boston. The holiday calendar may also hint at the time when Chinese tourists are more likely to travel. Training sales associates on cultural greetings can quickly build trust with incoming tourists and encourage foot traffic. Stores should also offer in-store shipping options so that Chinese consumers can ship items home. This will eliminate the need to pay sales tax and leave the customer more room in their luggage, per Mr. Morris. “Not only is the size of the luxury market in China significant, but it continues to grow with a burgeoning middle class aspiring to own luxury brands to demonstrate their wealth,” Mr. Morris said. President Barack Obama’s initiative to boost international tourism has pushed the US government to process a record 1 million visa applications from China so far during fiscal 2012. “This extraordinary accomplishment represents visa processing growth of almost 43 percent over the same period last fiscal year, when we had processed just over 675,000 visa applications in China,” the State Department announced Thursday. The US federal government’s fiscal year begins Oct 1 and ends Sept 30, so the department was referring to visa-processing totals through the end of the third quarter on June 30. As China Daily reported in April, through the first half of fiscal 2012, the State Department had processed 453,000 visa applications from Chinese citizens, up 46 percent from the first six months of fiscal 2011. To reach the 1 million figure through the current fiscal year’s first nine months, department staff at the US Embassy in Beijing and the four consulates across China processed at least 547,000 visa applications from Chinese citizens in the three months from April 1 through June 30 – reflecting especially high demand for the busy summer travel season. The State Department credited the opening of more windows for interviews, expansion of consular office space and better-maintained waiting areas for visa processing at the Beijing embassy and its consulates in Chengdu, Guangzhou, Shanghai and Shenyang. Furthermore, it said the average waiting time for a visa interview has been reduced to about a week from the several months it used to take to get an appointment. Dong Xue, a senior at Purdue University in Indiana, has just returned from China and it took her only a week to get a visa, even at the peak of summer. As a repeat traveler to the US, Dong was able to use a bank drop-off service to renew her visa. Without having to go for a personal interview, she submitted her paperwork through the bank and got her visa in five business days. The Obama administration, pointing out the value of travel and tourism to the US economy, introduced in January a strategy to make the United States the top destination for foreign visitors. More than 1 million jobs could be created over the next decade if the US increases its share of the international travel market, Obama has said. In 2011, about 1.18 million Chinese visited the United States and the number is expected to reach 2 million in 2015, according to the National Tourism Administration of China. Major hotel brands are bending over backward to cater to the needs of the world’s most sought-after traveler: the Chinese tourist. Now arriving on American shores in unprecedented numbers thanks to a streamlined visa process and a rising Chinese middle class, Chinese tourists are being treated to the comforts of home when they check in at the front desk. That means tea in rooms, congee for breakfast and Mandarin-speaking hotel employees. Chinese “welcome programs” at chains like the Marriott and Hilton even address delicate cultural differences: No Chinese tour group should be placed on a floor containing the number four, which sounds like the word for death in Mandarin. “They’re very relieved, like finally somebody’s doing these things that make sense,” said Robert Armstrong, a sales manager who handles bookings for Chinese travelers at the Waldorf-Astoria in New York. More than a million Chinese visited the US in 2011, contributing more than US$5.7 billion ($7.2 billion) to the economy. That’s up 36 per cent from 2010, according to the Department of Commerce. By 2016, that figure is expected to reach 2.6 million Chinese. And so hotels are competing to win the hearts of the Chinese. That may take the form of slippers and a tea kettle in the room or a Mandarin-speaking employee at the front desk. It’s rare that Shao has to ask hotels for anything anymore. Marriott International, for example, now offers several Chinese breakfasts, depending upon which region of China the traveler hails from: there are salted duck eggs and pickled vegetables for eastern Chinese, for example, and dim sum and sliced pig’s liver for the southerners. Major chains are also training employees to avoid cultural missteps that would offend a Chinese visitor. Superstition is a big one: Red is considered a lucky colour, along with the number eight, which signifies wealth. The colour white, meanwhile, is frowned upon. Failing to respect the pecking order in a Chinese group is another common blunder. The race is also on to build loyalty within China’s borders. Last year, Starwood Hotels, which has a Chinese “specialist” at each American hotel, relocated its senior leadership team to China for a month. The Ritz-Carlton rotates general managers and other hotel staff into its Chinese hotels for three-year stints at a time. And both chains are banking on the success of their customer rewards programs, which have been a big hit in China. “It’s important for our leaders to understand what’s going on there at a more personal level than just the statistics,” said Clayton Ruebensaal, vice president of marketing for the Ritz. “Everybody’s going after this market because of the sheer volume of luxury customers. At the same time, it’s a very crowded landscape. In response to the surge in Chinese visitors, the State Department decided earlier this year to spend US$22 million on new facilities in several Chinese cities and add about 50 officers to process visa applications. And in February, the US government said Chinese visitors who had obtained an American visa within the last four years did not have to reapply in person but could apply via courier. As a result, visa interview wait times in China are just under a week. But some experts say the US still lags far behind other countries, especially in Europe, when it comes to attracting Chinese tourists. America is woefully ill-prepared to welcome China at an industry-wide level, especially at restaurants and major attractions, said Rich Harrill, director of the Sloan Foundation Travel & Tourism Industry Centre at the University of South Carolina. “We’re not as ready as we should be,” Harrill said. Somewhere between Chen’s Gourmet Buffet and the statue of King Kamehameha, Wayne Lu lost half his audience. Lu is a tour guide for a Honolulu travel company called Dragon Tours & Travel, and his audience is a group of 30 vacationers from mainland China on the first day of a whirlwind, 12-day, eight-city tour of the United States. After a 15-hour trip to Honolulu from Shanghai, via Tokyo, the group was beat. By the time its motor coach stopped across from Iolani Palace, beside the Kamehameha statue, Lu’s prediction had come true. Despite his amiable, nonstop patter, at least half the bus had nodded off. “They always fall asleep after lunch,” Lu said again, after his bleary-eyed charges descended from the motor coach to take photos beneath Kamehameha’s outstretched arm. Meet the weary pioneers of Chinese leisure travel, forerunners of a rapidly building new wave of wealthy and middle-class visitors from the People’s Republic of China. Increasingly, you can find them piling out of buses at the usual tourist attractions, or forking out huge sums for designer handbags and watches at luxury shops in Ala Moana and Waikiki, or learning the hard way that haggling at the Apple Store will get you nowhere. Although they make up a tiny fraction of the 7.2 million visitors overall that Hawaii saw last year, their numbers are growing quickly—from 28,664 in 2001 to 79,531 in 2011. Just as China’s economy surpassed Japan’s as the world’s second-largest in 2010, so, too, could the number of Chinese tourists in Hawaii someday surpass the number of Japanese tourists. 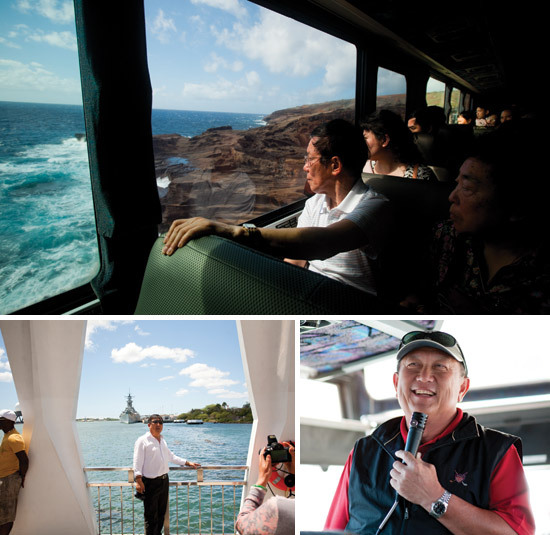 To make the acquaintance of these fledgling travelers with the potential to transform the face of Hawaii’s visitor industry, HONOLULU Magazine shadowed Lu and his 30 travelers on their two-day tour of Oahu. Fewer than 15 percent of Hawaii’s Chinese tourists come to Hawaii as independent travelers, booking their own trips, following their own schedules, renting cars and confounding local drivers unfamiliar with China’s first-is-right rule of the road. The majority of Chinese tourists in Hawaii today come with group tours, often part of steeply discounted, multi-city packages that jam as much Hawaii into as little time as possible. Such was the case for Lu’s people, who Dragon Tours, agent for the Hawaii leg of their trip, would host for their two days on Oahu. After that they were off to Los Angeles, San Diego, Las Vegas, Buffalo (with a side trip to Toronto, for those with Canadian visas), New York, Washington, D.C., and, finally, San Francisco. Honolulu was just the first dot on the map. Escorting them from Shanghai across America and back was the trip leader, Zeng Wei Ji, a boyish 45-year-old who introduces himself to Westerners as “Ricky.” Ricky studied to be an industrial engineer, but, 20 years ago, he got an opportunity with a Hong Kong-based travel company to lead a tour to the United States. He’s been an international trip leader ever since. Originally, his company catered to groups from Hong Kong and Macau, but, in the last few years, it’s expanded to mainland China. Now that’s where almost all his tour groups come from. China’s growing ranks of millionaires and billionaires aren’t the ones blasting through Hawaii on tours like these. Among Lu’s group there was an accountant, several retirees and a cagey man who claimed to be a bus driver, then said he was a clerk, but, frankly, had the air of a low-ranking Communist Party official. There were also two young women who worked for different travel agencies. They were each traveling alone, on vacation, and had just met, but were clearly destined to be great friends. To keep accommodation costs down, Ricky had paired them as roommates for the duration.